Intel is helping enable "wake on voice" technology via a special low-power state and audio technology built into Skylake and Windows 10 PCs. Today, you can ask Windows 10’s digital assistant Cortana to remind you to buy milk, to dictate an email, and to tell you how tall the Empire State Building is. But next year, you can tell her to get your PC out of bed, too. At the Intel Developer Forum this week, Intel showed off two technologies, that, together, will help wake up your PC at the sound of your voice. The first—its “wake on voice” capability—is predicated on Intel’s Smart Sound technology and will debut with the Skylake processor. The other—Intel Ready Mode—is a low-power state that can be found built into the Haswell, Broadwell, and now the Skylake chips. Here’s how it will all work: Your PC may be in a standby state, but it will be “awake”—able to run virus scans, download email, and the like, but without needing to be fully powered on. When you say “Hey Cortana,” the system will fully power up and display the lock screen. At that point, you’ll be able to enter your password or PIN—or, if you have Windows Hello enabled—simply sit down at your desk and let your PC recognize you. 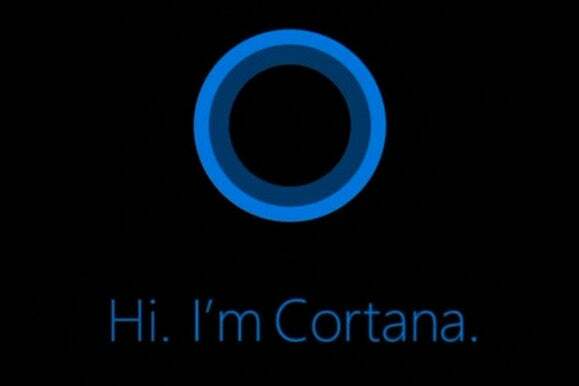 Soon you’ll be able to use Cortana to wake up your PC. Why this matters: Windows Hello is a convenience, but it also serves as security protection: Your PC can recognize you by your face, and then authenticate you on other sites across the Internet. 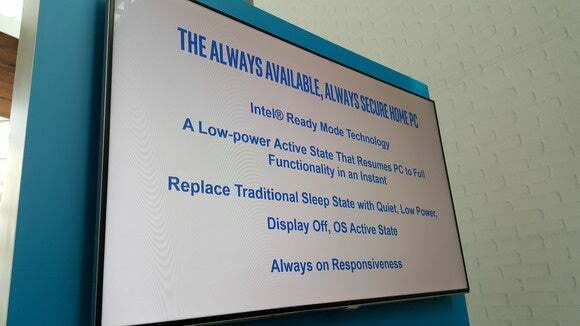 (Intel’s True Key technology works in a similar fashion.) The Smart sound technology is much more of a luxury; after all, you could certainly touch your PC’s space bar or power button to wake it up as well. There’s one catch: You’ll need to have an Intel-powered PC to make this work. Rival AMD has its own ways of capturing your dollars—through discrete graphics chips, for one—but it isn’t offering anything similar to what Intel promises... yet.